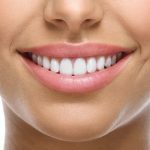 Smile Makeover | What are the Treatments & What Does it Cost? Cosmetic dentists incorporate a variety of dental technologies to show you the changes that you can expect to see in your smile. For example, during your oral health evaluation for veneers and crowns, your cosmetic dentist may create a wax model mockup of temporary teeth to accurately communicate the requirements of your procedure to the dental lab technician. Temporaries and wax mockups also offer you a preview of the expected outcome to ensure that you are comfortable with the proposed treatment plan. Dental Imaging Software: Imaging technologies offer a preview of your results. Your dentist may use imaging technology to communicate the specifications for your procedure to the dental lab technician or any other dental professionals involved in your treatment plan. However, a digital image only gives you an idea of what you might look like when the treatment is complete; it may not fully match your final results. Before and After Photos: Before and after photos of other patients who have had smile makeovers offer examples of the results you may expect to see. 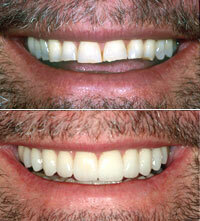 The photos may also give you an idea of the quality of work performed by your cosmetic dentist. Dental Study Models: Your dentist will take an impression of your teeth and fill it with plaster to form an exact model of your teeth. The plaster can then be reshaped by trimming away excess areas or enlarging areas that require more volume. Dentists use study models to show you every aspect of the changes you can expect to see with your makeover. Dental lab technicians also use study models as guides for fabricating materials like crowns or veneers. Your dentist may work with a laboratory that incorporates digital technologies. In such instances your dentist may be able to use digital scans of your teeth, rather than traditional impressions, for use in making the models of your teeth and smile. Dental Composite Bonding Mockup: Dental composite bonding may serve as a mockup of your smile makeover. The dentist can temporarily bond composite resin material to your teeth so you can fully visualize the impact of the procedure before treatment begins. In the case of veneers, dental composite bonding allows you to identify how comfortable you are with their look, feel and fit. Adjustments may be made until you are comfortable with the function and appearance of your new smile. Temporary mockups have no lasting impact on your teeth once they are removed. The duration of treatment and cost of your smile makeover will vary depending on your dentist, your location, your level of dental insurance, the state of your oral health and the extent of your customized makeover plan. Your treatment may be more expensive and take longer if your dentist identifies any underlying oral health issues before beginning treatment. Although these restorative procedures may be covered in part by your dental insurance carrier, you will still pay more for treatment than someone with immaculate oral health. With proper care and regular dental visits, your smile will look good and your crowns, veneers and other restorations will last for many years. In fact, resin-based restorations (such as tooth-colored fillings) can last anywhere from three to nine years or longer with proper care. 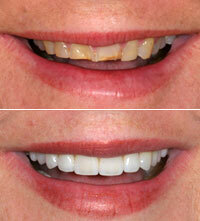 Porcelain restorations can last 10 years or more before they need to be replaced. Knowing how to modify your oral hygiene habits to best care for your restorations will help you maintain your new smile for years to come. 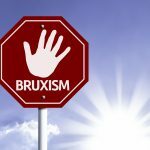 Highly abrasive toothpastes and tooth brushing habits can scratch the surface of restorations, dulling their polish and luster. As such, non-abrasive fluoride toothpastes are recommended. An example of non-abrasive toothpastes is Rembrandt, which was originally developed for use by people with cosmetic restorations. Brush two-to-three times each day for maximum effectiveness. Flossing is a key factor in removing debris and plaque from the teeth, and actually increases the lifespan of restorations and helps prevent tooth decay. Flossing is important for everyone, but is especially important for people with veneers, since impeccable gum tissue health is important. Mouthwashes containing alcohol have been shown to have a negative effect on composite fillings. What’s more, the alcohol content in mouth rinses, over time, can degrade the bond between your restorations (crowns and veneers) and your teeth. Use alcohol-free mouthwashes instead. 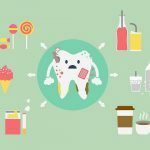 Avoid foods high in sugar and limit between-meal snacks to prevent cavities. Limit consumption of coffee, soda, tea, etc. to keep your smile stain free. Refrain from biting and/or chewing hard objects such as pens, staples, metal, bottle caps, etc. Considering that the cost of porcelain veneers ranges from $900 to $2,500 per tooth, and the cost of composite bonding is approximately $250 to $1500 per tooth, you’ll want to follow your dentist’s and hygienist’s maintenance recommendations in order to maximize longevity. Replacing a broken or fractured veneer or crown involves impressions, shade matching, a temporary and waiting for a permanent restoration. And, depending on your dentist’s policy, you may be responsible for the full cost of replacing the damaged dental crown or veneer. Follow your dentist’s instructions to ensure the long-term beauty of your new smile, and be sure to keep all follow-up and regular cleaning appointments with your dentist and hygienist.